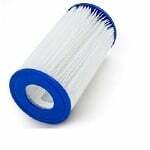 Dimension One provides pool and spa water purification products, including filters for filtration systems. 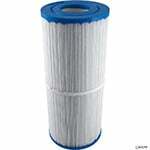 Dimension One provides pool and spa water purification products, including filters for filtration systems. 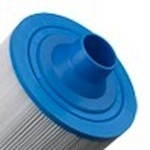 Here at Filters Fast, we offer items from Dimension One, along with many other brands. 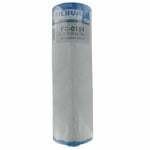 The Dim One 1561-12 R is a compatible replacement for the following pool and spa filters: Unicel 7CH-975 PDO75P3 Aladdin 17527 The Dimension One 1561-12 Pool Filter Cartridge has a diameter of 7 inches, and a length of 10 1/2 inches. 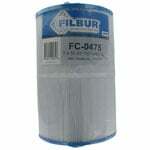 The FiltersFast FF-0490 Pool and Spa Filter Cartridge is the compatible replacement for the Dimension One 1561-00. 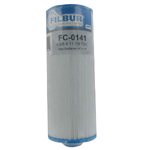 The Filbur FC-3059, Dimension One 75 Pool and Spa Filter replaces Unicel part number C-7367 and Pleatco part number PD075-2000. Also known as part numbers FC3059, C7367, and 1561-00. 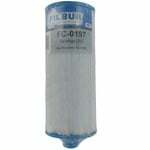 The Filbur FC-0475 Pool and Spa Filter replaces Unicel 7CH-975 (7CH975), Pleatco PDO 75 (PDO975) and OEM part no. 1561-12. 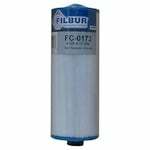 The Filbur FC-0197 Pool and Spa Filter replaces Unicel 4CH-950 (4CH950), Pleatco PSG 27.5W/PAD-2S and PSG27.5P2 (PSG 27.5P2). 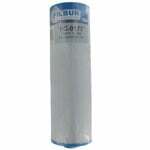 The Filbur FC-3081 is a compatible replacement spa filter for the Dimension One 40 Spa Filter. This Dimension One compatible filter replacement will fit all spas, jacuzzis, hot tubs, and pools which use a Dimension One 40 spa filter.